We are located just north of Cortez on Highway 145, just pass the Elks Lodge and Golf Course. One of our two exam rooms. Named because of the window over looking the pasture where our resident horse, Starbuck lives. This room is used for any visit, but known as the eye room or cat room because we can work in low light if needed for any eye exams and it houses our kitty scale. Meet Gunther our Hospital Mascot! 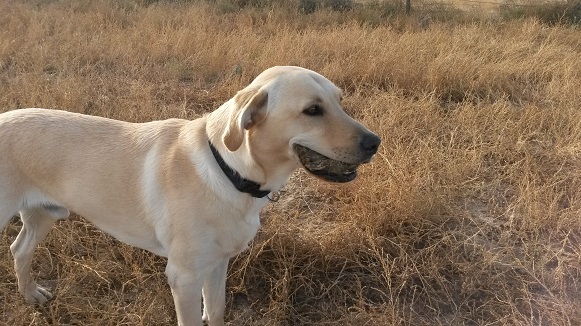 Gunther is Dr. Wegner's beautiful and sweet male Yellow Labrador Retriever. He loves coming to work with his mom everyday and always has a toy or something in his mouth. Welcome to Cortez Adobe Animal Hospital!